A new law banning cities in Oklahoma from establishing a minimum wage for workers seems like an obvious retaliation against an ongoing initiative petition drive. Gov. 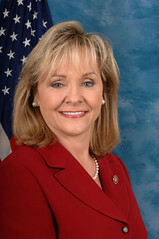 Mary Fallin signed a measure into law Monday that prohibits municipalities from creating their own minimum wage and mandatory benefits, such as sick leave and vacation time. The bill passed 68 to 23 in the House and 34 to 9 in the Republican dominated Oklahoma Legislature. Fallin and others who support the bill publicly argued it would prevent the state from having multiple minimum wage requirements in different cities, which could be confusing and damaging to businesses. Fallin also argued that it could lead to fewer part-time jobs for younger people. But it’s probably no coincidence that an initiative petition drive, conducted by the Central Oklahoma Labor Federation and attorney David Slane, is underway here to raise the minimum wage in Oklahoma City from $7.25 to $10.10 per hour. President Barack Obama is also pushing to raise the federal minimum wage to that level and local efforts are underway elsewhere in the country to do so as well. Connecticut, for example, recently passed a bill raising the minimum wage there to $10.10 per hour. Low-wage occupations have dominated job growth in the post-recession recovery, accelerating a decades-long shift in the U.S. economy toward lower-paying jobs. At the same time, the federal minimum wage of $7.25 per hour, which translates to just $15,080 per year for a full-time worker, remains decades out of date, and the federal minimum wage for tipped workers – $2.13 per hour – has not increased in over twenty years. The minimum wage, if it had kept pace with inflation over the last 40 years, would actually be $10.74 per hour, according to the same organization. The new law in Oklahoma, however, raises more than just moral implications about poverty and income inequality. It also raises the issue over whether the state legislature and the governor can directly circumvent a specific initiative petition drive, which the bill seems to do. Another basic issue, then, is whether people in Oklahoma communities have the right to establish laws. Could the bill face a legal challenge?